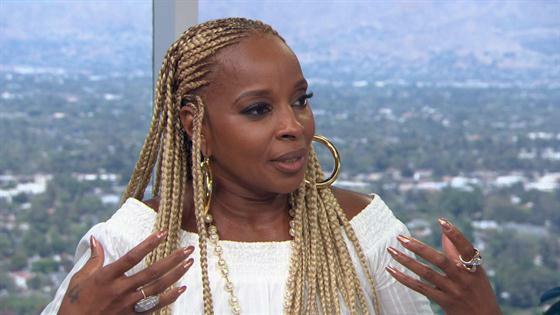 Mary J. Blige is releasing a new jewelry line that'll have you getting "crunk up in this dancerie". The R&B diva is collaborating with her longtime friend and jewelry designer Simone I. Smith to create a line that represents where she's from and her signature style—Sister Love. The line features their Bam Beauties, inspired by the "door knocker" trend that has remained hot since the star came into fame in the '90s. With three stylish selections of hoops, ranging from $129.99 to $299.99, the BFF collab will drop in August. Although they're just releasing the styles to the public, the best friend duo debuted their jewels at this year's Essence Fest and quickly sold out of their 18kt Queen Hoops. Now, she's telling E! News why they're a must-have. "I love them—it's a comfort zone for me to put on a hoop," she told E! News. "You can dress it up or dress it down. A hoop is simple, it frames your face." As a trendsetter, Mary revealed that her shoes and earrings make her feel untouchable. "From the time Salt-N-Pepa hit the scene, all we saw was a 'door-knocker' or a hoop," the "Just Fine" singer shared. "You had to hustle and get you a pair of door-knockers—'truck jewelry' they called it." Who would've thought a door-knocker inspired accessory would become your fashion safe haven? No matter what you call it, the new line has a pair of earnings that are universally stylish. And, it's all in the name of sisterhood. Check out more from Mary in the videos above! You can get your Sister Love hoops exclusively on simoneismith.com.